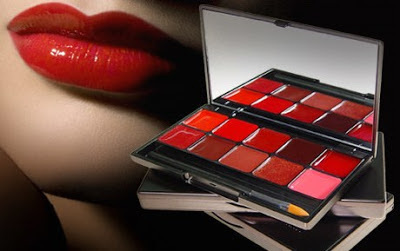 Sometimes, all it takes are the perfect red lips and a little help from your friends. May your Valentine’s Day be filled with love. Given that I was born in February, and that I positively blossom when the temperature drops, you would think that I would naturally take to the slopes; but, in fact, I never learned to ski, and as the birthdays flash by faster than a downhill racer, I’m afraid that my daredevil days are behind me. Of course, I have come close a few times. 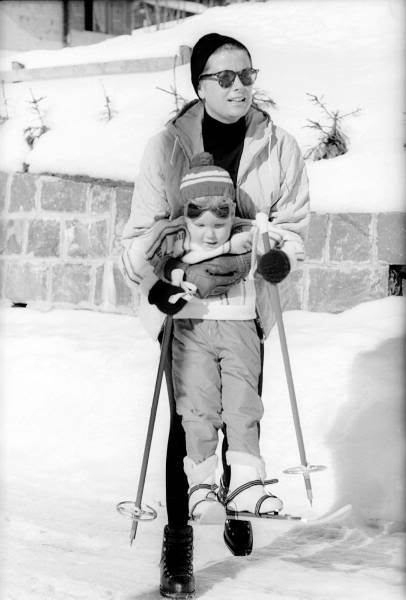 Once, while staying with friends in Courchevel, I was determined to learn to ski. I packed the perfect ski sweater and had every intention of renting the perfect ski equipment and taking lessons from the perfect (and he was!!) 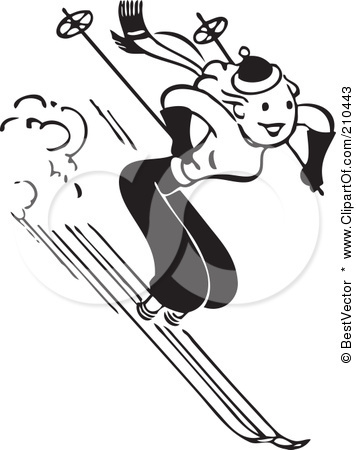 ski instructor; but, somehow, I managed to skip right over the “ski” part and head right for the “après-ski” part of the day. Maybe it was sharing a raclette with friends while overlooking Mont Blanc that lured me away….or, perhaps, it was that restaurant that served only fois gras….and did I mention the fondue? After all, I was in the Haute Savoie, it would have been a sacrilege NOT to indulge in such gastronomic delights, n’est-ce pas? 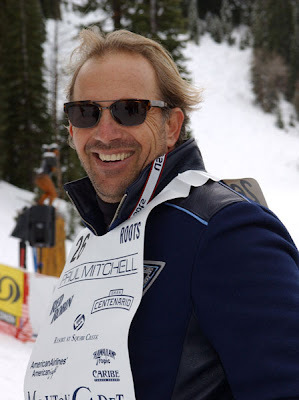 No, if I’m to be totally honest with myself and you, it’s not the sport that appeals to me, but the clothes worn by the rich and famous while they frolic on the slopes. It is casual couture at its best, and the overall effect is utterly effortless and totally chic. Celebrities on the slopes go back to the golden days of Hollywood. 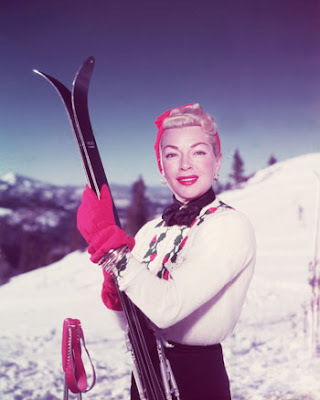 Here, the famous “Sweater Girl” herself, the beautiful Lana Turner, poses on the slopes in 1955 looking oh-so-glamorous and filling out a ski sweater better than anyone before or since. 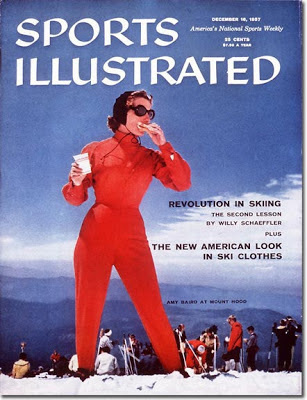 What red-blooded American man wouldn’t want to wax her skis? Here, Princess Grace, looking sleek and chic, is giving little Princess Stephanie some important tips on how to handle her poles. 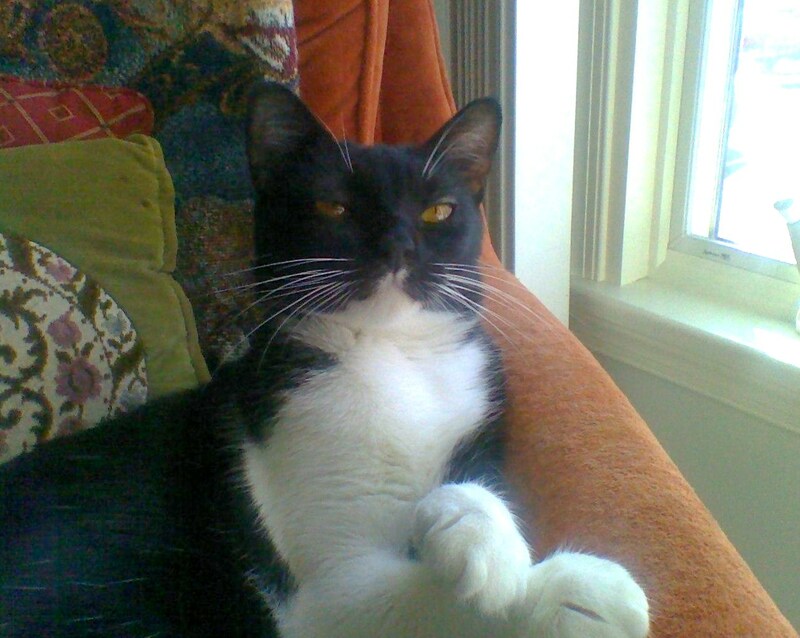 Grace came from a very active, athletic family. 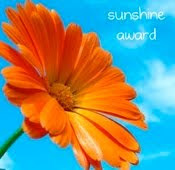 Her father, Jack Kelly, a champion rower, insisted that all his children be physically fit, and Grace more than held her own. When she came to Hollywood, it quickly became apparent that the camera not only loved her glorious face, but her lean and muscular body, as well. 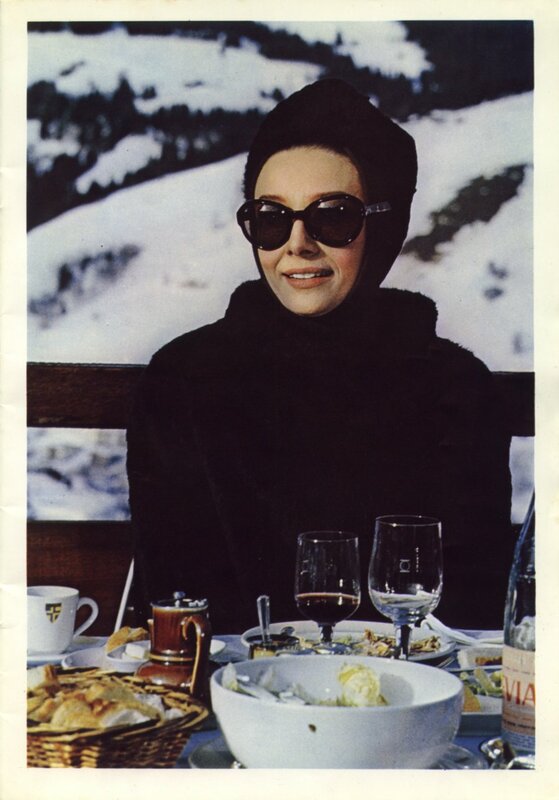 This portrait shot of Audrey Hepburn, from the opening sequence of the 1963 Hitchcock film, Charade, shows Audrey at her ski-chic best, with a little help from her favorite designer, Hubert de Givenchy. 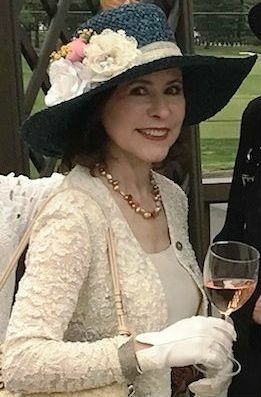 That little peak at the back of her hat gives the whole outfit, an otherwise simple, almost austere, black ensemble, an exquisite dash of insouciance and playfulness. And let’s face it, Ladies, who ever wore a pair of oversized sunglasses better than our Audrey? Kate Moss looks adorable here in a monochromatic outfit that relies on varied textures for interest and a jaunty beret for that little dash of je ne sais quoi…... so much cuter than a shapeless wool cap pulled down over your ears. Not exactly the ideal way to keep your ears warm, perhaps, but who cares? She looks ever-so chic, don’t you think? Speaking of keeping body parts warm while skiing, take a look at Victoria Beckham in this shot. No question, she looks fabulous (love the yellow jacket) and appears to know what she’s doing, but there’s a time and place for exposed cleavage and bare tummies, and it’s not on the slopes. 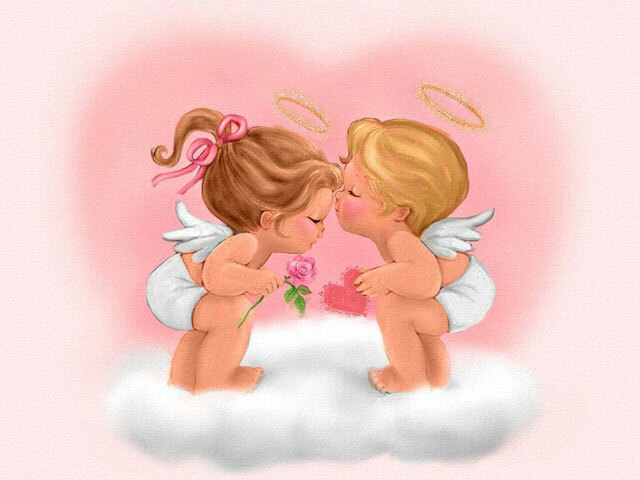 Just looking at this picture makes me want to wrap my woolies around me even tighter. Brrrrrrr, someone pass me a hot toddy; I’ve got the shivers!! 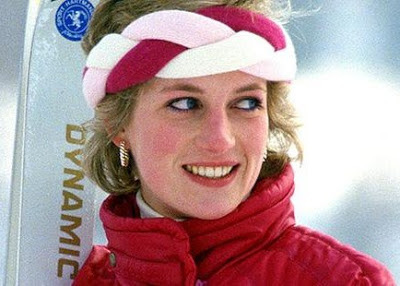 Of course, no one ever looked as fetching on the slopes as the late and very-much-missed Princess Diana. Quel charme !! Quelle classe !! Quel style !! She was just so beautiful; and talk about an eye-catching headband……this is it, Ladies. Take note. Excuse me while I slip in to the Ski Lodge and into something après-ski appropriate for my après-ski plans with my new ski instructor. Maybe my daredevil days aren't so far behind me after all.